Holding hands is one of life's simple pleasures. Celebrate the treasure of friendship or love with our Mini Holding Hands Bowl. It coordinates with either larger Holding Hands Bowl for salad dressing, sauce or smaller side dishes. The spoon gently slopes down the inside of the bowl. Coordinaters with: Holding Hands Small/Large. 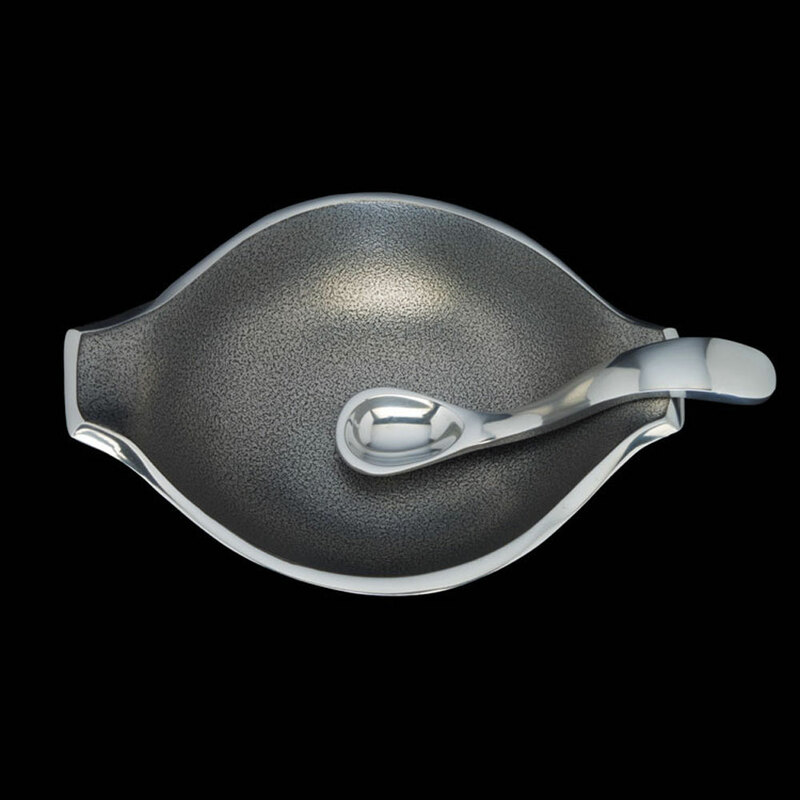 Handcrafted of food-safe polished aluminum. Size: 8.25" x 6" x 2"